Cryptocurrency industry newsletter Diar has published some interesting statistics on Proof-of-Stake (PoS) networks in their latest issue. The March 18 issue speaks in detail about PoS protocols and the success they’ve had. PoS algorithms are generally considered better than Proof-of-Work (PoW) algorithms and several well-known projects, like EOS (EOS), Dash (DASH), NEM (XEM), and Waves (WAVES) all employ the staking consensus mechanism. 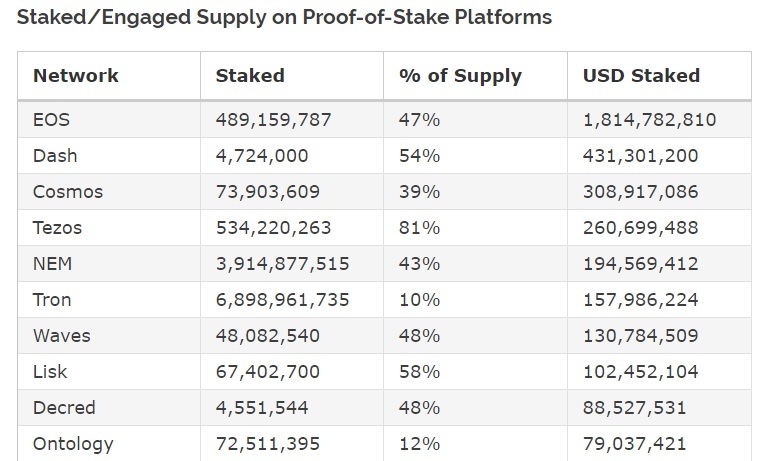 EOS has the most value staked, with 47% of the supply amounting to about $1.8 billion, which easily eclipses every other project on the list and accounts for almost half of the $4 billion or so staked funds. The project has done well to reach this milestone despite the less than perfect launch that it had. Cosmos, a project that aims to connect different blockchains via its Intercommunication Blockchain Protocol (IBC) to become the “Internet of Blockchains”, gets a special mention by Diar as it recently launched its platform on the mainnet. 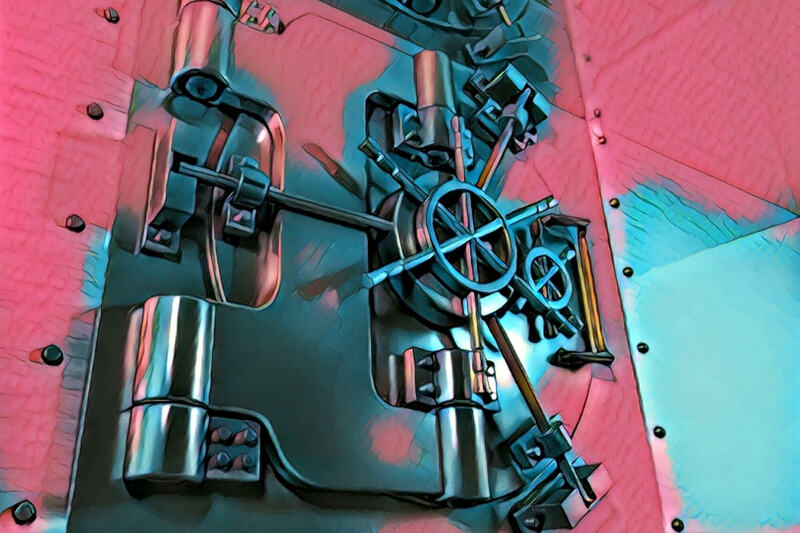 Its network has 100 validators, a number which is expected to increase to 300 over the next 10 years, though users can vote to increase that figure. Diar also mentions PoS platforms expected to launch later this year, which include crypto community favorite Cardano (ADA), IOST (IOST) and Aion (AION), which will launch on Ethereum, OmiseGO and Polkadot respectively.